It’s no surprise that Meghan Markle and Prince Harry’s upcoming nuptials are having a major influence on all things wedding-related—especially when it comes to princess wedding dresses. We know that princess wedding dresses are going to bigger than ever this year—thanks to the Royal Wedding. Everyone has been gushing over what Meghan Markle will wear down the aisle the moment she got engaged to Prince Harry. 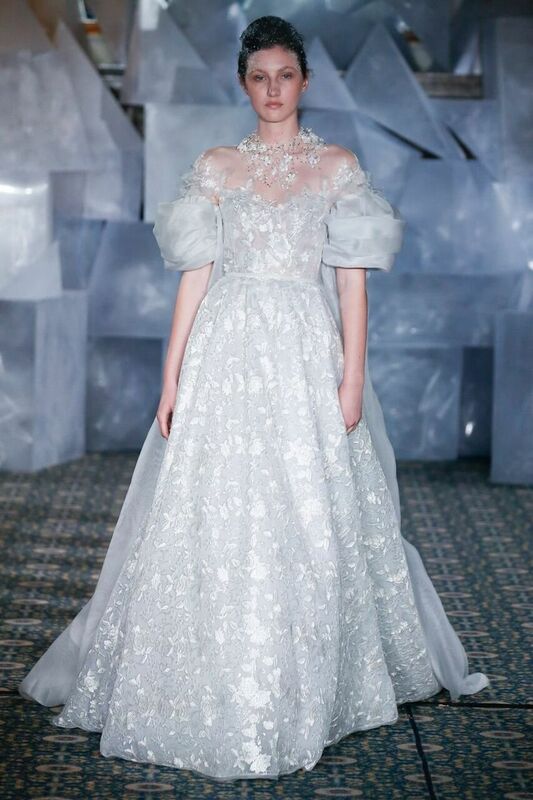 So, we had a feeling that this royal wedding craze would definitely cause princess wedding dresses to become the new “it” style for brides-to-be this year. 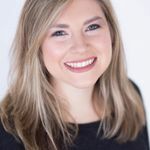 Princess wedding dresses, whether they’re inspired by what designers think the future Duchess should wear or just look like they belong in a fairytale, will make any bride-to-be feel like royalty on her big day. 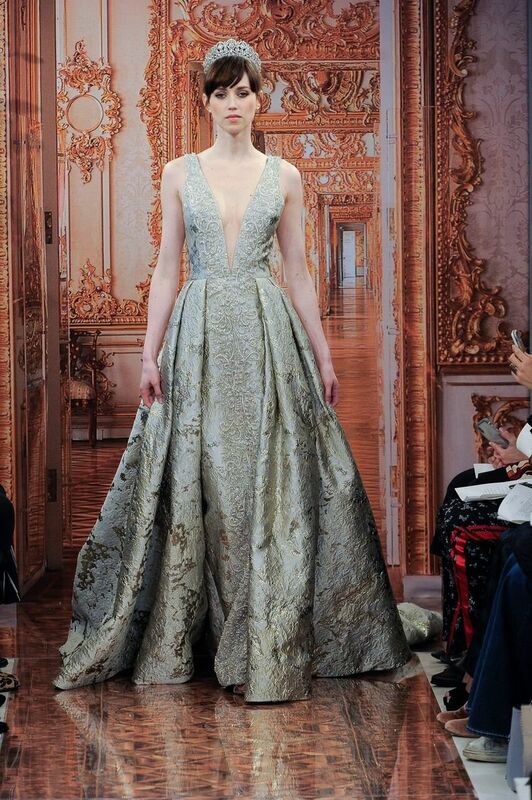 So as the excitement builds for Meghan Markle and Prince Harry’s royal wedding, we decided to roundup some of our favorite gowns that give us all the royal feels. 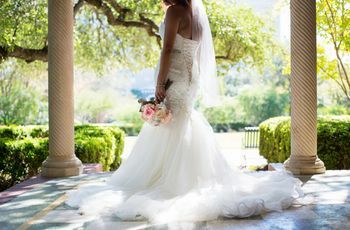 From wedding dresses covered in majestic crystal rhinestones and delicate lace, to gowns made with luxe, eye-catching fabric, princess wedding dresses are made for the royally obsessed and we’re here for it! Check out these princess wedding dresses that are perfect for creating a wow-worthy look on your big day. The rich brocade fabric on this deep V-neck A-line gown definitely oozes royalty and romance when it comes to princess wedding dresses. When we think of royal weddings it's hard not to picture Kate Middleton's iconic gown from her 2011 wedding. 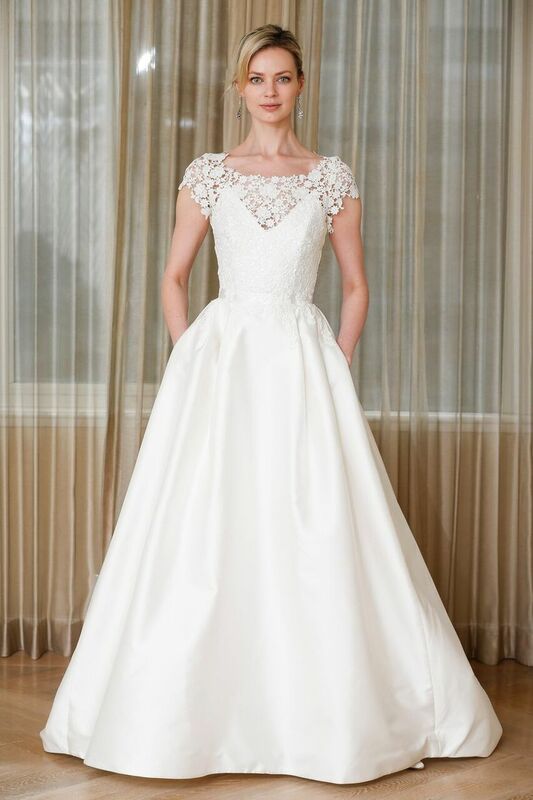 We think this princess wedding dress by Morilee definitely channels Kate Middleton's stunning dress since it mimics her long illusion lace sleeves and beautiful lace bodice. 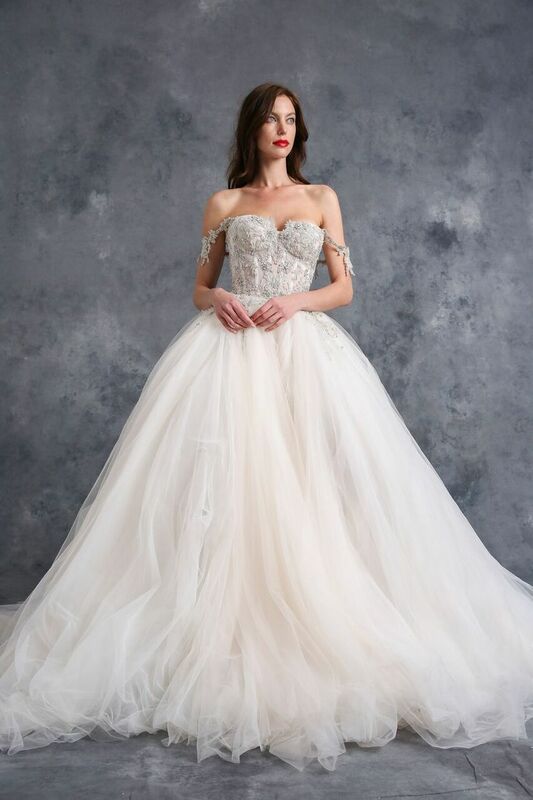 The elaborate tulle skirt on this Galia Lahav ball gown feels like it floated straight out of a princess fairytale dream. Paired with a corset bodice and off-the-shoulder sleeve this princess-inspired gown is perfect for any bride looking to make a royal statement on their wedding day. 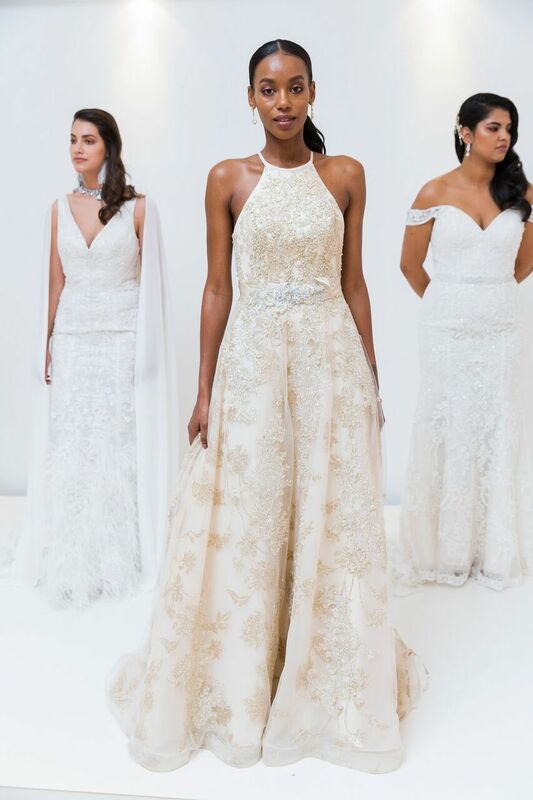 With intricate gold beading and floral detailing, this high-neck blush A-line wedding dress will give brides a subtle hint of royalty on the big day. You can even jazz it up some more with a matching crystal embellished sash, as well. This regal and feminine wedding dress totally reminds us of what Pippa Middleton (the royal sister of Kate Middleton) wore on her wedding day. The bespoke cotton lace and cap sleeves is very similar to Pippa's ceremony wedding dress that she wore for inside the famous St. Mark's Church in Englefield. Another gown featuring gold floral detailing, but accented with a pleated skirt, gives a fun and modern twist to the typical regal ball gown. 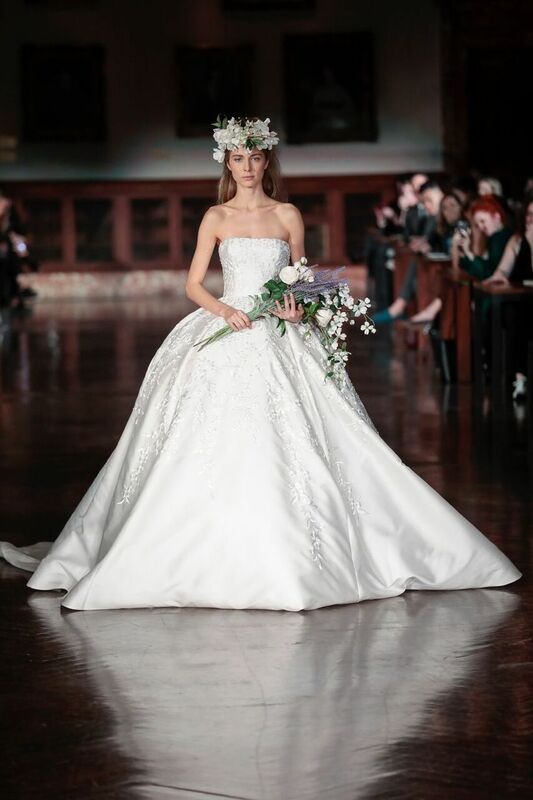 Brides looking for a wedding dress that reminds them of the late Princess Diana will love Mira Zwillinger's couture princess-inspired gown. The tulle puff sleeves are a 2019 update to Princess Di's gorgeous taffeta wedding dresses. 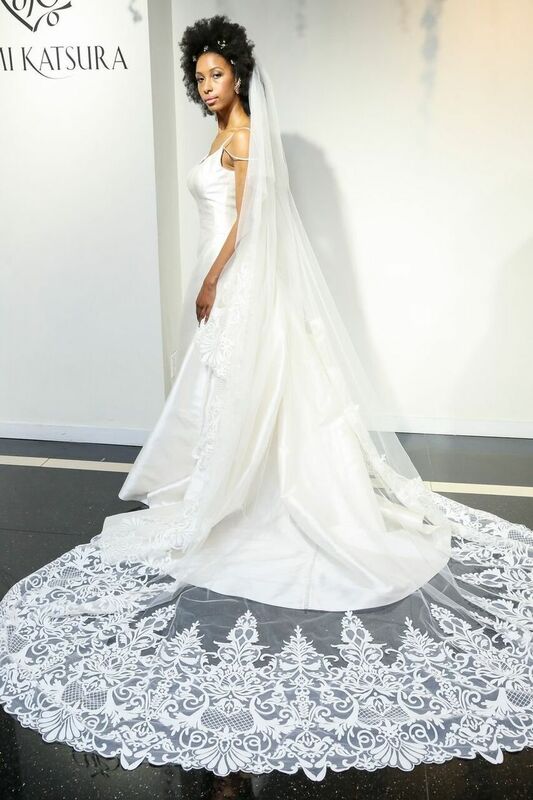 The lavish train and veil on Yumi Katsura's latest masterpiece will give every bride a princess-inspired exit during their big day. 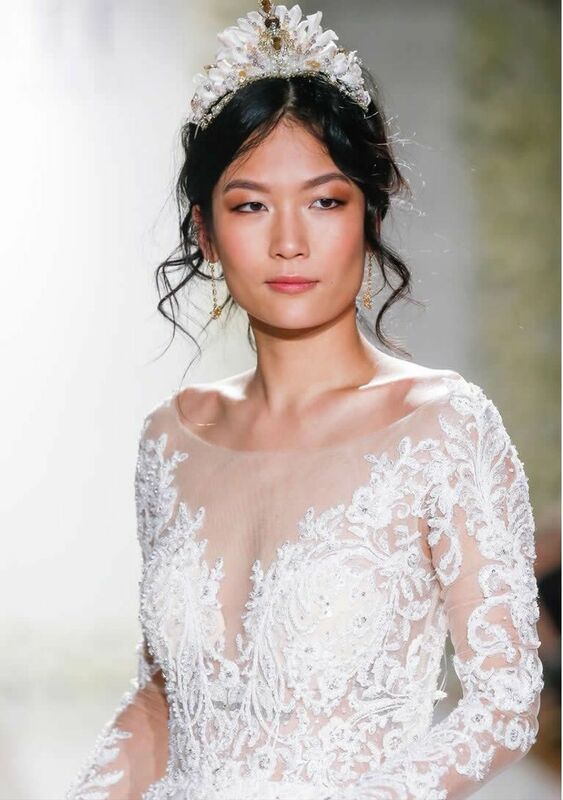 Beadwork and embellishments are a total must for princess wedding dresses and Maggie Sottero's long sleeved stunner is giving us major #princessgoals. 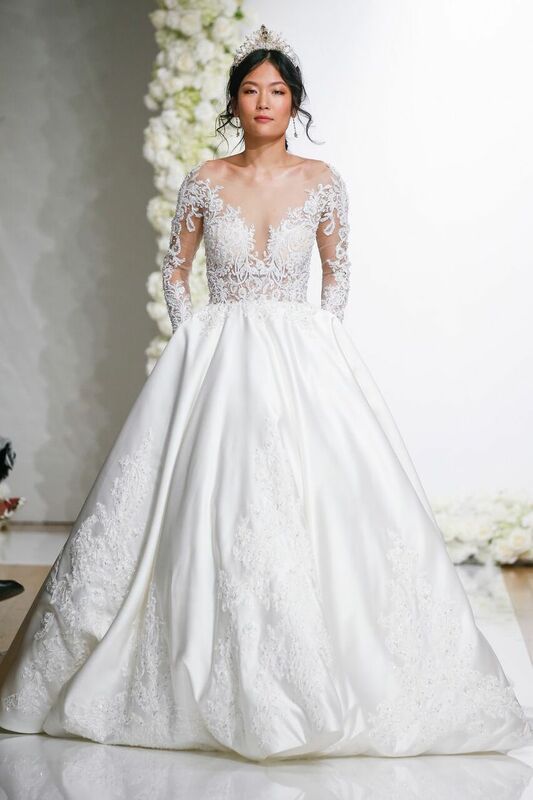 Brides hoping to avoid illusion lace sleeves, but still want to look like royalty will be obsessed with this ball gown by Reem Acra. 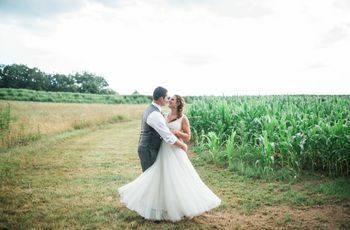 The gigantic skirt paired with the clean cut strapless neckline takes our breath away. We also love the soft white coloring that is a classic choice for princess brides-to-be.